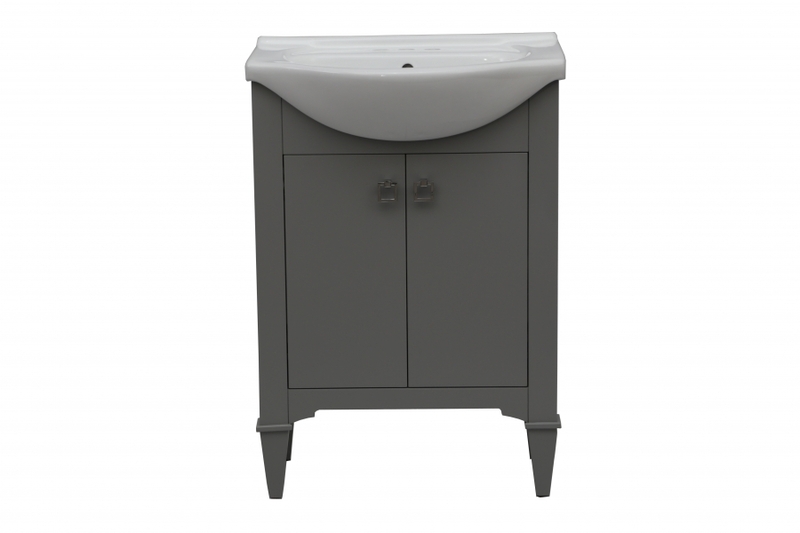 The modern styling of this single sink vanity is greatly enhanced by the cut out at the top that holds the curved apron sink basin. This bold look will make a nice impact in the space where the piece is installed. The white porcelain sink material is complemented with the gray tone finish of the base. Aside from the decorative aspect, this piece also adds great storage functionality to the bathroom with the double door cabinet. 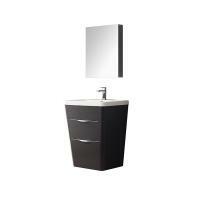 This smaller sized vanity will be the perfect fit for smaller or odd shaped bathrooms.